Tottenham Hotspur are reportedly competing with RB Leipzig in an attempt to sign Germany Under 21 wunderkind Nadiem Amiri from Hoffenheim. Rumours of a possible transfer of this talented youngster were around last season, as Spurs were, and still are, looking for a new attacking midfielder to strengthen the squad. 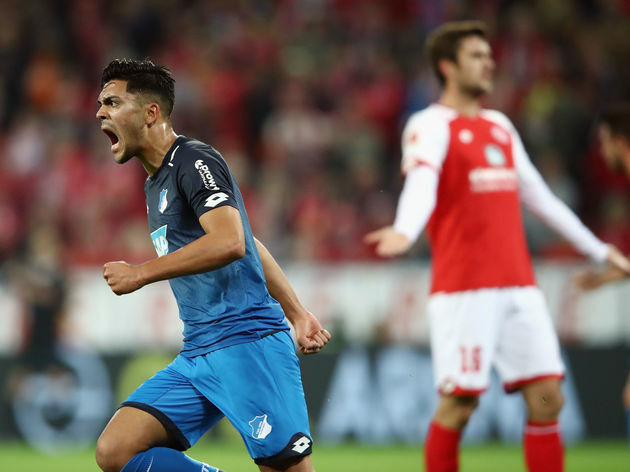 Despite manager Mauricio Pochettino’s interest Amiri eventually chose to join Hoffenheim and signed a deal lasting until 2020. However, according to German media outlet ​Bild, the North London club are thought to have recently revived their interest in the player and continuously monitor his performances, hoping to secure him soon. Tottenham have left everyone surprised last summer after making very few signings, the most prominent ones being Fernando Llorente, Davison Sanchez and Serge Aurier. They also sent away key defender Kyle Walker, Kevin Wimmer and Federico Fazio. As the winter transfer window approaches, chances that they might be searching for new players rise, and Amiri would be an ideal signing. However, they will have to fight for him against Bundesliga runners-up RB Leipzig, who have already agreed to sell Naby Keita to Liverpool in June and could be more motivated to secure the youngster. Amiri was a crucial player last year during Germany’s race to the final and consequent title victory at the Under-21 European Championship. He was initially part of Hoffenheim’s youth time until, in 2015, he debuted in the senior squad against Wolfsburg. He has been largely praised as one of the most promising rising stars of the Bundesliga, and has attracted the eyes of both Joachim Low and many top-class teams.